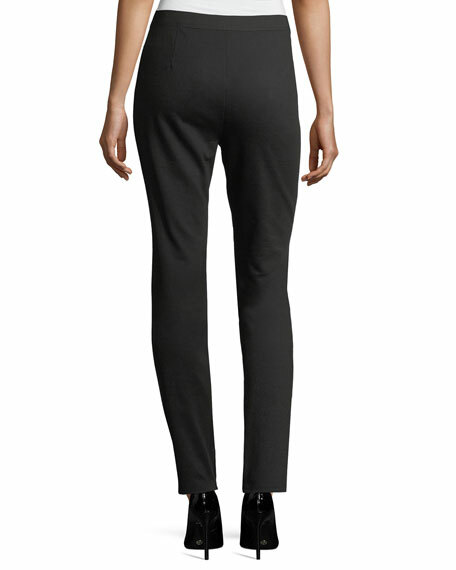 Eileen Fisher combo leggings feature stretch-suede front and ponte knit back. Approx. 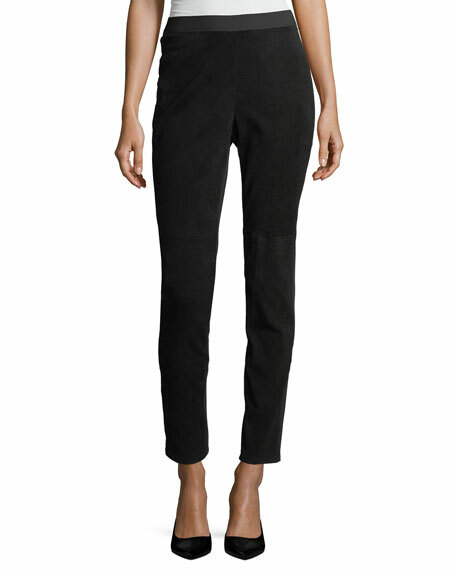 measurements: 30" inseam; 38.5" outseam. For in-store inquiries, use sku #2281401.